Primetime, Daytime & Late Night News: ... preparing to burn into the polaroid back. ... preparing to burn into the polaroid back. 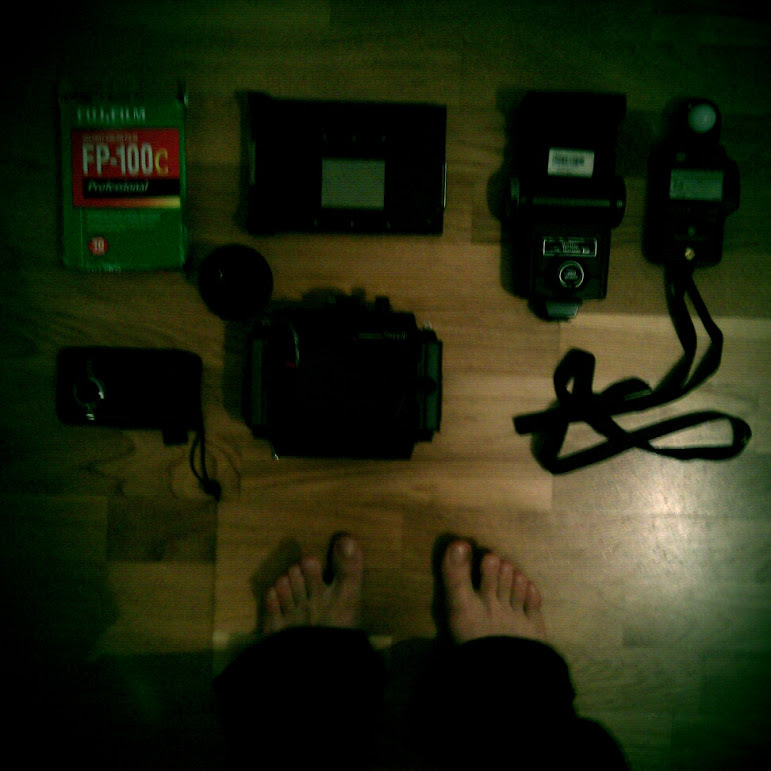 excited toes - equipment inventory - horseman of the apocalypse camera - shutter cocking. now onwards into the electrical cable salad. I know I have a slave cell somewhere.